The market is filled with skin care products that promise skin brightening. While we prefer running away from any product that unnecessarily promotes 'fairness' and forces people to dream of changing their complexion overnight (can't we just be happy with what we've got? ), we are fans of products that hydrate and nourish. Stuff that can take care of our skin from within, and prevent it from further damage. The Body Shop's latest offering - Drops of Light, is just that! We were recently introduced to the Pure and Healthy serum from this range. After trying out the product for a month, here's what we think about it! What does it promise? - A very lightweight serum that absorbs quickly into the skin, leaving it velvety soft and shine free. Clinically proven to reduce the number and intensity of dark spots. 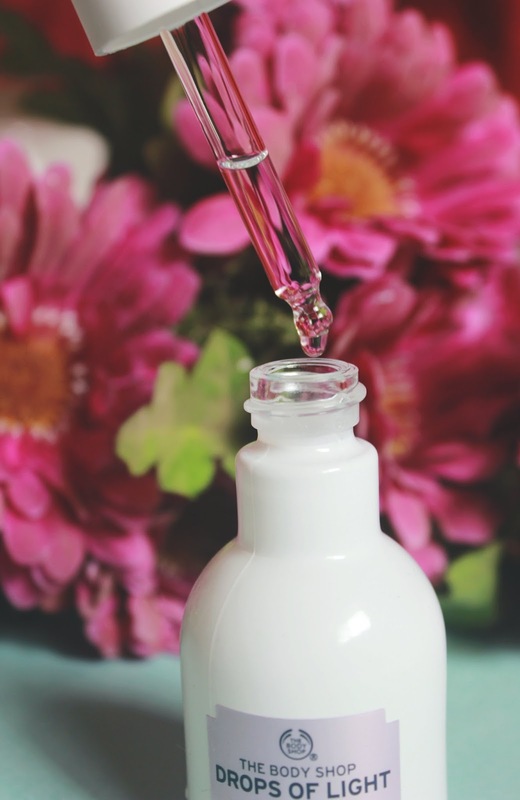 Packaging - The serum comes in a beautiful 30ml glass bottle, similar to their Oils of Life Intensely Revitalising Facial Oil. This too comes with a tightly fitted cap, that has a dropper to dispense the product. Only difference here is the colour. 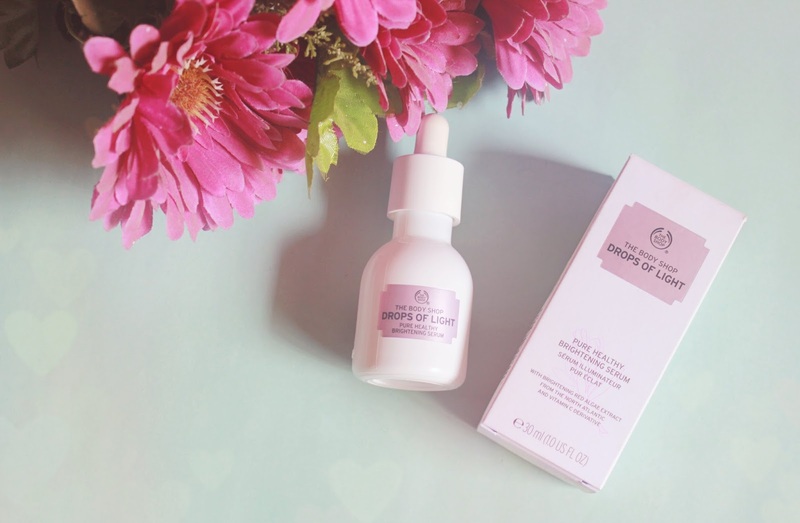 The Drops of Life serum is housed in an elegant all white bottle. It is easy to carry and does not spill. Since it is a glass bottle, you need to take good care while traveling. Fragrance - Light and refreshing. The fragrance is not very strong, but is good enough to lift your spirits and keep you feeling fresh. Texture: Extremely soft and smooth. The serum is not too thick or runny. It perfectly absorbs into your skin and feel super light weight. The moment you massage the serum on your face, you can feel the velvety soft texture of the product. Zero greasiness, so those with oily skin need not fret. The serum provides good hydration for people with dry skin. The soft texture does not irritate, and is good for those with sensitive skin. 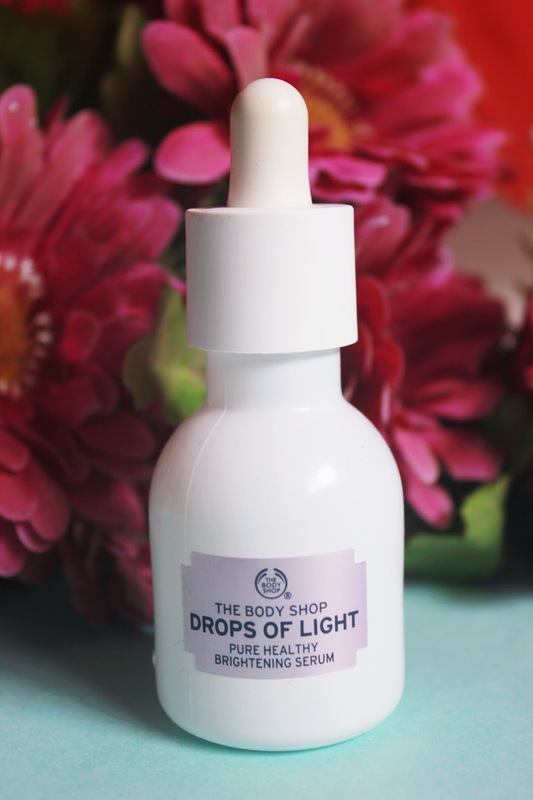 Experience: The Body Shop Drops of Light is a great light-weight serum, that can be worn under a moisturiser as well as make up, without making you worry about any heavy residue. We tried using it every morning and night, after cleansing, and followed it up with a hydrating moisturiser. The weather hasn't been too kind, especially on our skin and hair. Thankfully, this serum did a good job of hydrating our facial skin well. Post application, it leaves the skin feeling velvety smooth. We also tried using it without a moisturiser and still, the results were great. For a shoot, the product was tried on before make up and it helped add a dewy glow, which looked lovely. Even otherwise, the product does do a good job at maintaining your natural complexion well and adds a subtle glow which looks great. While it also promises to reduce dark spots, we think we should give the product some more time to work its wonders in that department. Like we always believe, Rome wasn't built in a day. So, how can we force any product to deliver results (on damages done over time) in just a month? 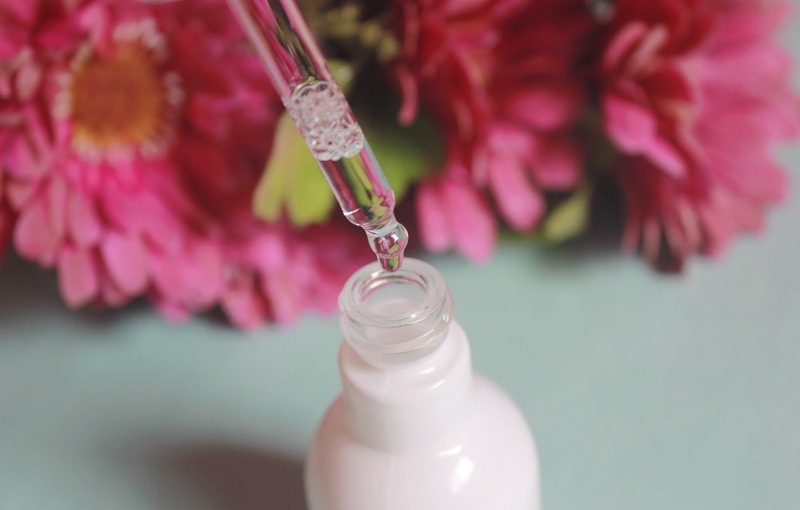 Overall, we are quite happy with our experience and the serum has definitely made its way into our list of favourite skin care products of 2016 (so far). Verdict: The Body Shop has certainly scored high with their latest offering. 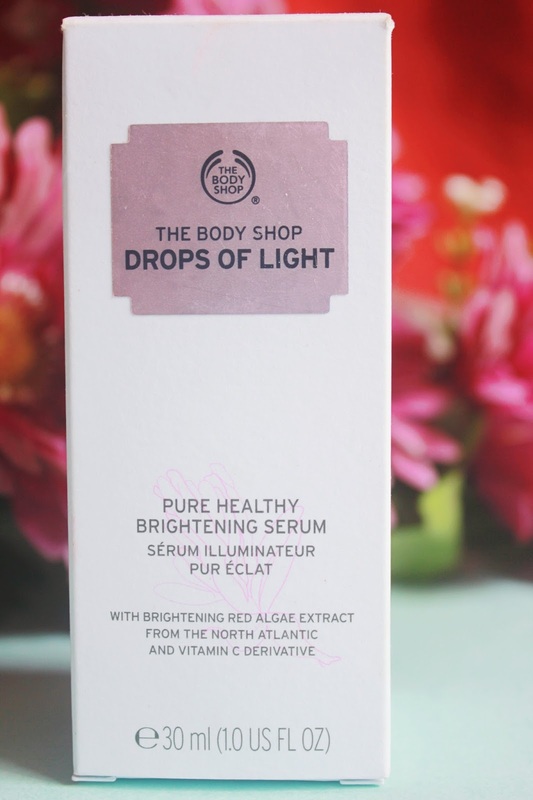 If you have been looking for a serum that is soft, light, absorbs well and does not burn a hole in your pocket, go buy the Drops of Light serum and you won't be disappointed.